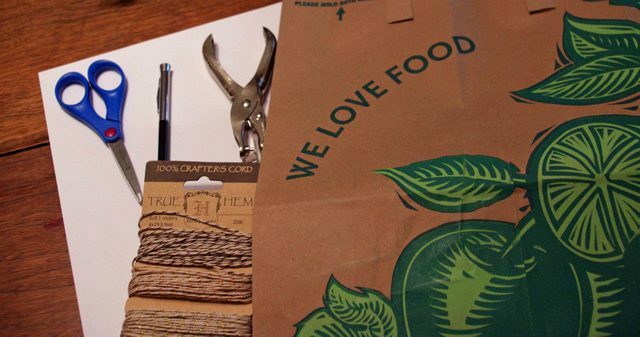 If your family is like ours, you might have quite a few paper bags from the grocery store piling up in your pantry. We mostly end up with them as a result of our impromptu shopping trips, those last minute runs to the market when we’ve been out and happen to not have our cloth bags with us. Most of the time, these paper bags end up re-used as garbage bags but can be re-incarnated as handmade envelopes, parcel wrapping paper or even as table liners for the children’s enthusiastic watercolour sessions. 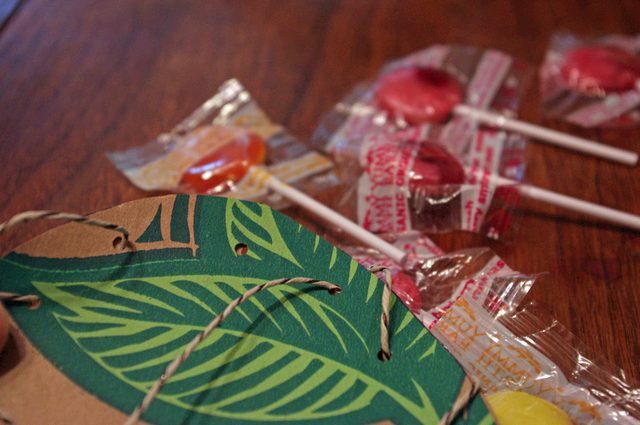 be used to do a simple craft (either on your own or with your little loved ones) to house all the little bits and bobs they receive from the Easter Bunny. The threading and lacing involved also presents a wonderful opportunity for youngsters to sharpen their fine motor skills. 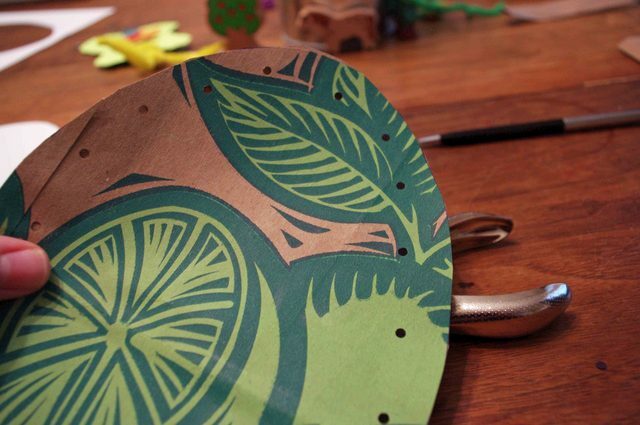 Begin by drawing a generously sized egg shape on your paper and cutting it out. This will serve as the pattern for your egg pouch. Next, you will need to remove the large flap from the bottom of the paper grocery bag. 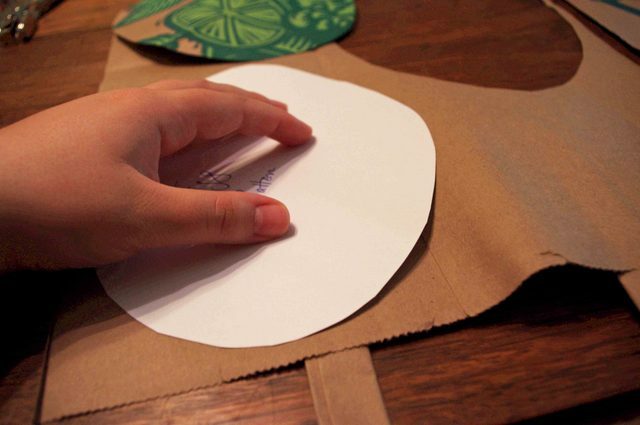 Cut along the bottom seam, through both layers of paper, until you are left with a bottomless bag. 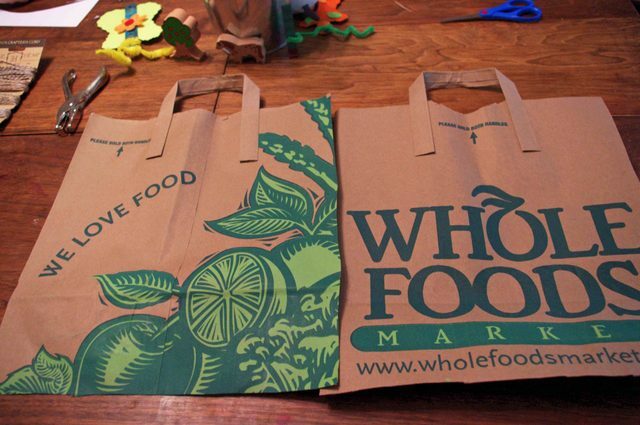 Then, cut out the thin side strips of the bag so that you are left with two large rectangular pieces of paper. 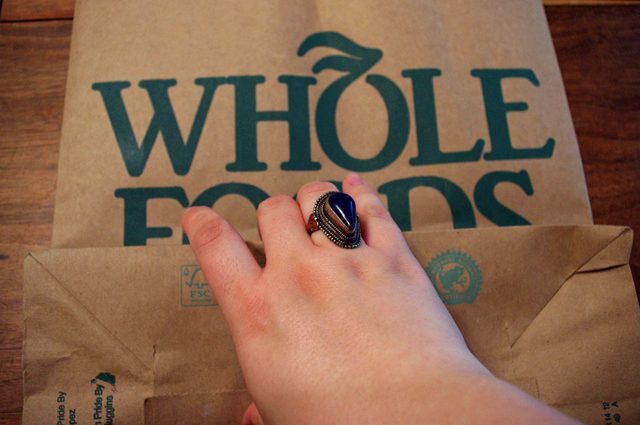 Remove the handles from your shopping bag (if there are any). 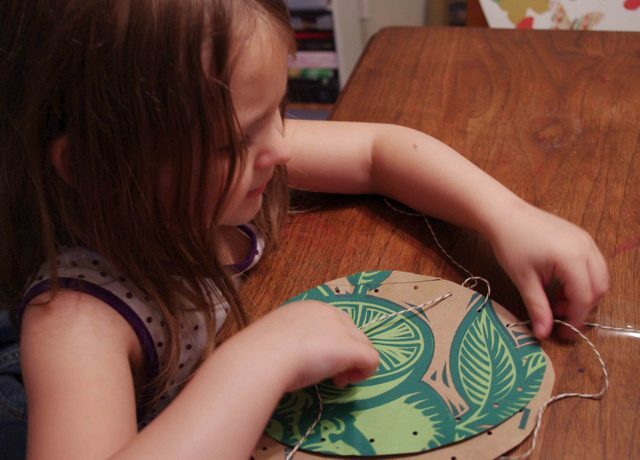 Trace your egg pattern onto the paper twice, giving you a front and a back for your egg pouch. Put the two identical eggs together and using your hole punch, punch holes about every half-inch or so around the perimeter. 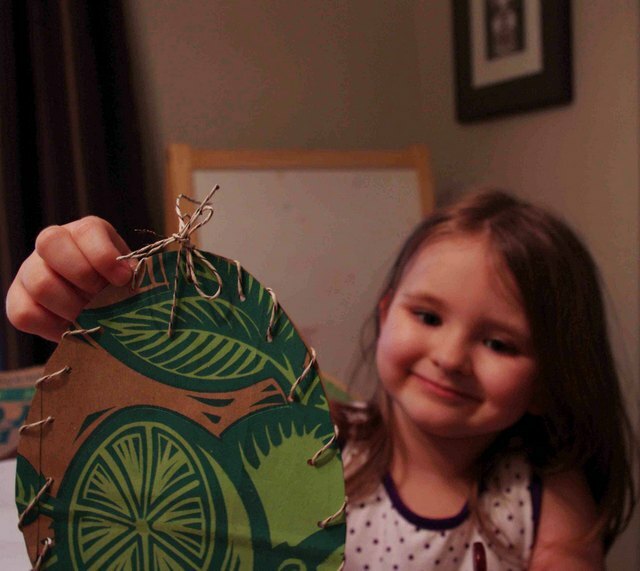 If your paper is particularly plain, you can certainly enlist your child’s help to decorate it with crayons, stampers or whatever craft supplies you have in your home. Start threading and lacing up your egg, being careful to leave the very top hole unthreaded – this way you’ll have an opening to slip the treats through later. The rigidity of the cord makes it especially easy for young children to complete this portion on their own. 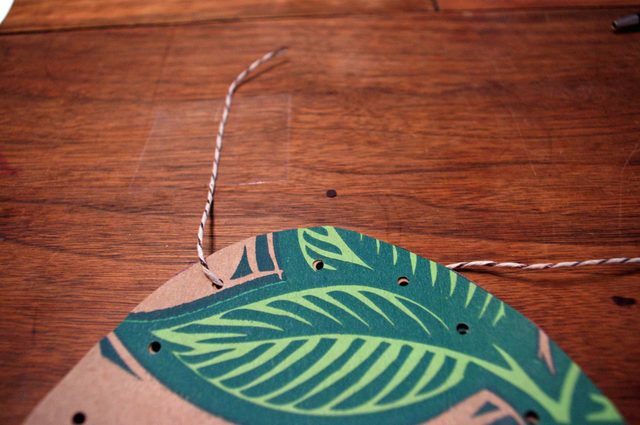 Once you have finished lacing, add your sweets and thread the remaining cord through the very last hole. Tie with a flourish, flash a smile…and you’re done! Looks like she had a lot of fun making one! thanks for sharing! What a neat idea, I love it!